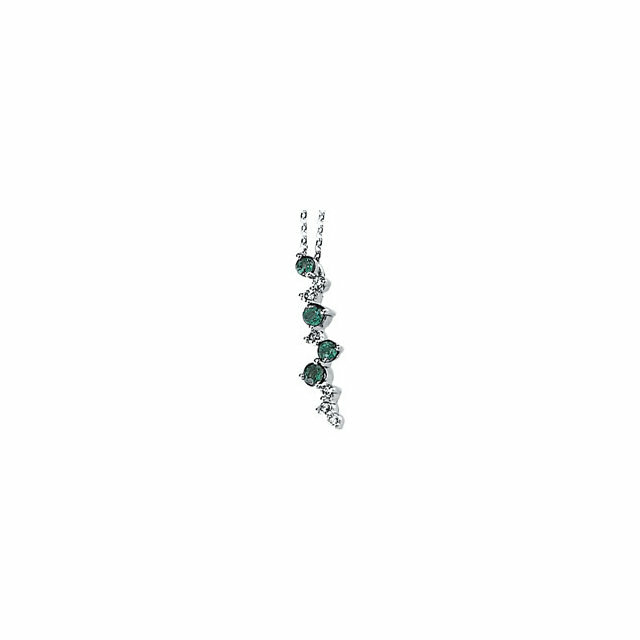 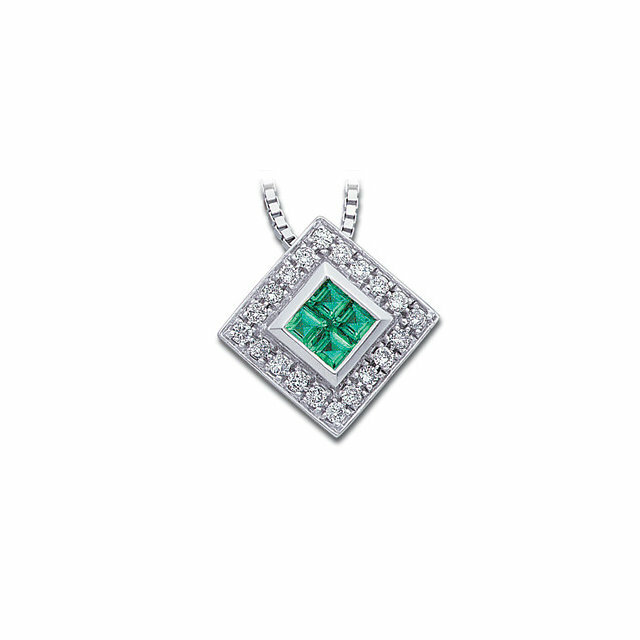 Fabulous Genuine .11ct 3mm Emerald Pendant With Diamond Studded Infiniti Frame - 14k White Gold - FREE Chain A Genuine 3.00 mm Round Emerald Gemstone Is Cradled Inside a Gorgeous Diamond Studded Asymmetric Infinity Shaped Frame. 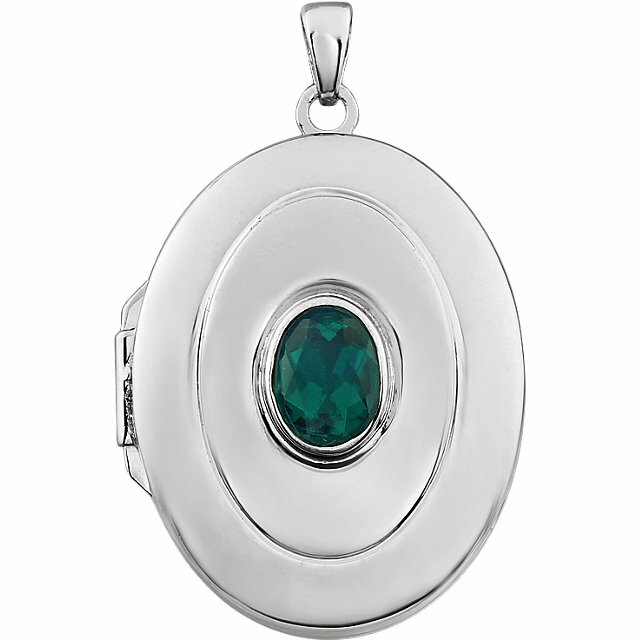 Gorgeous 14k White Gold Pendant. The green of Emerald is representative of life and springtime. 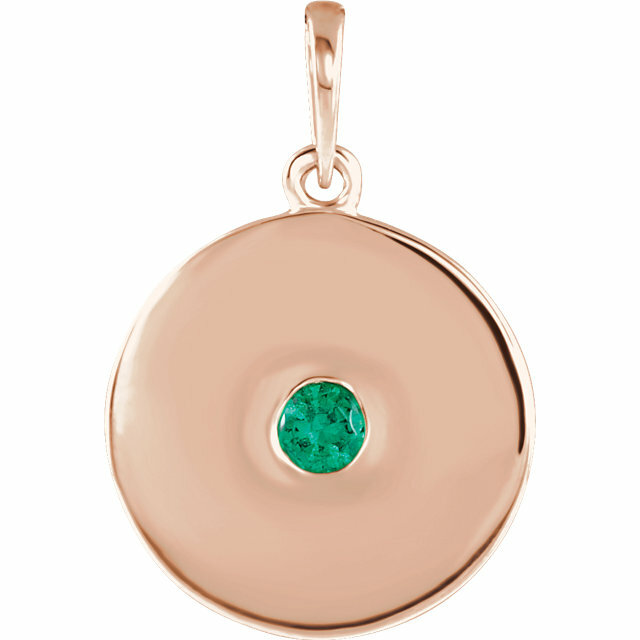 In ancient Rome, it was the color that symbolized the beauty and love of the goddess Venus. Perhaps this is why Emerald is the gem chosen by love birds to celebrate their 20th, 35th or 55th wedding anniversary. 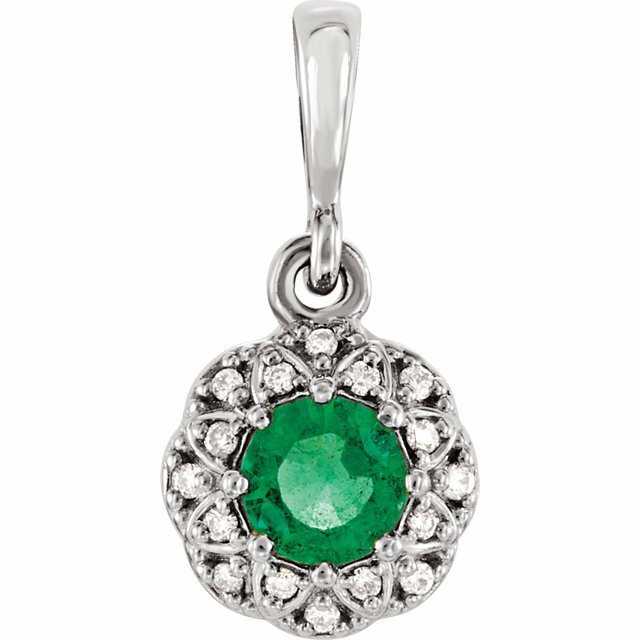 Emerald is also the gemstone of choice for those born in May as well as those born under the sign of Virgo. 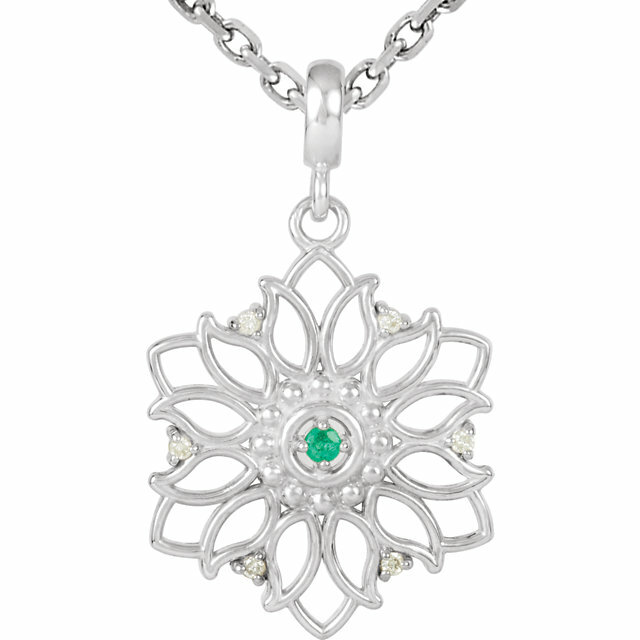 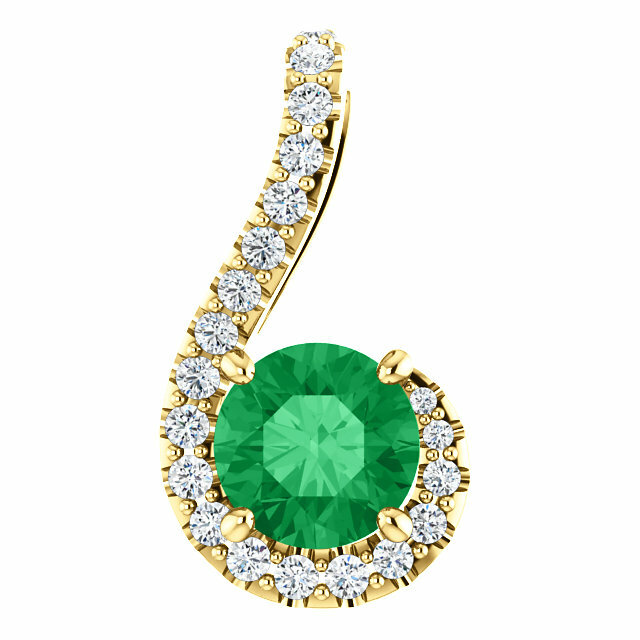 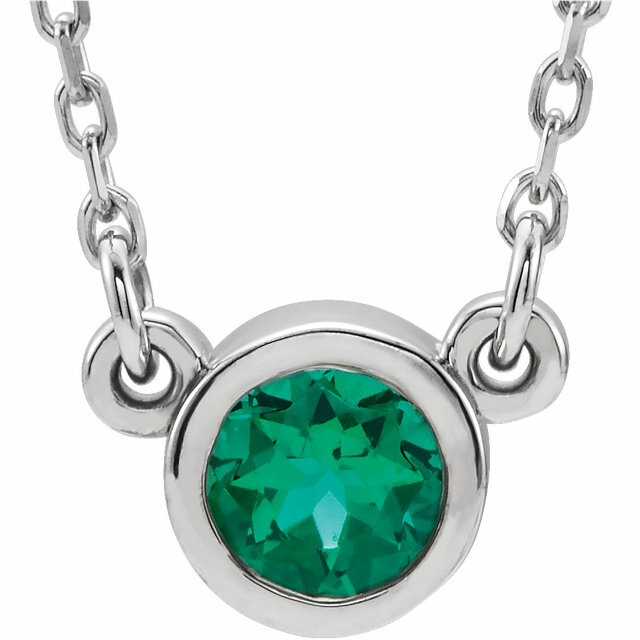 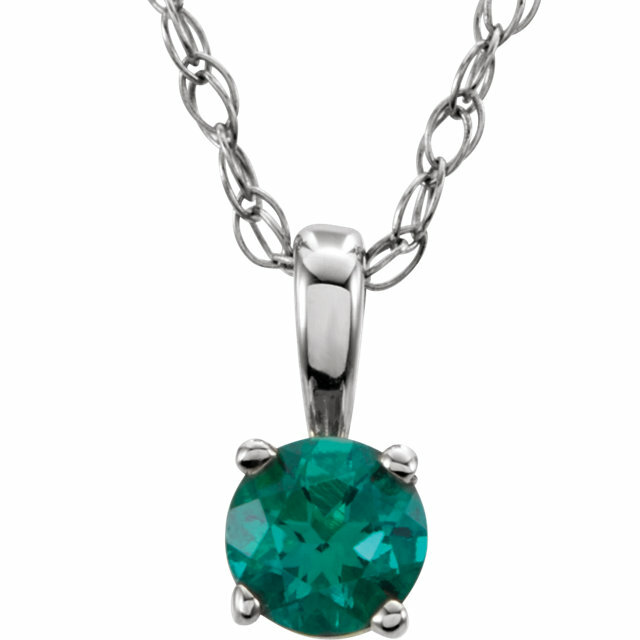 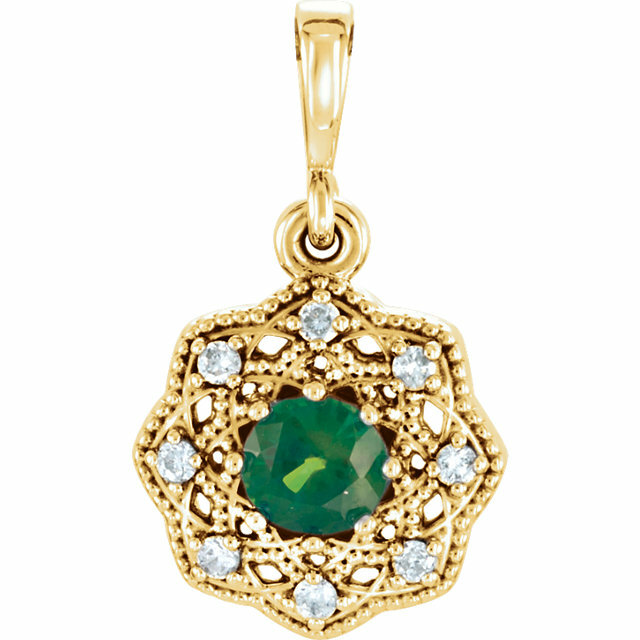 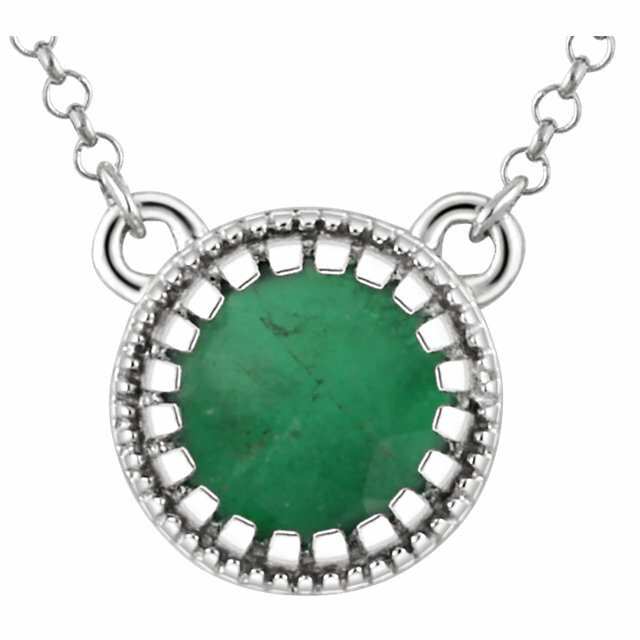 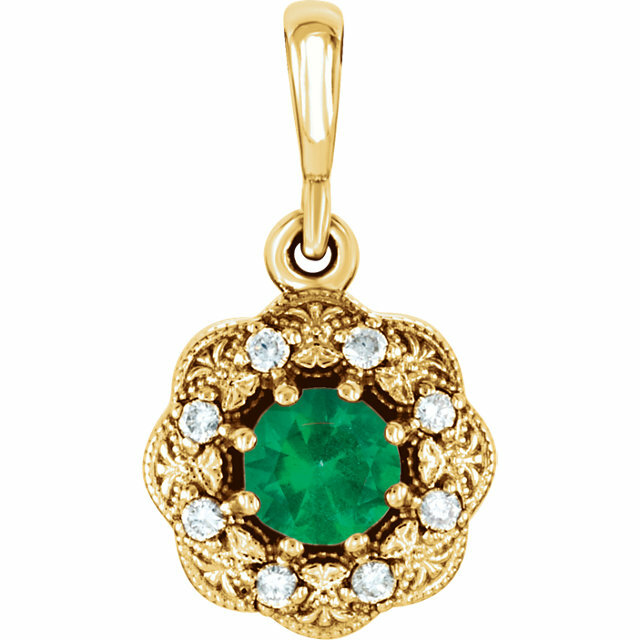 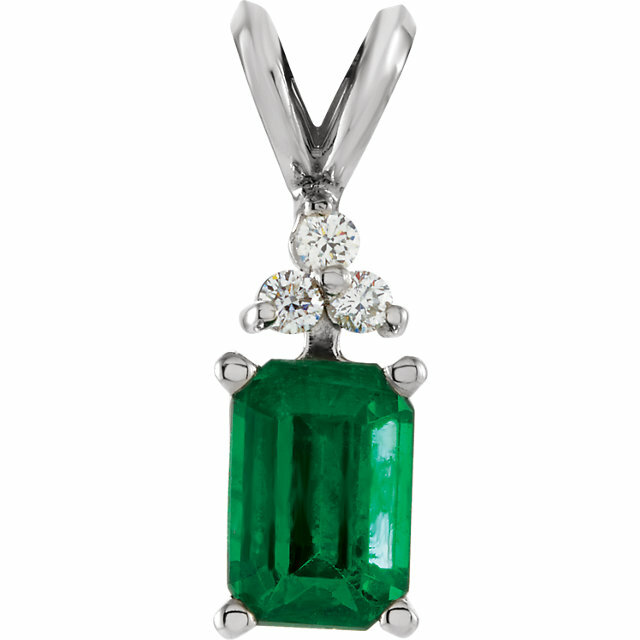 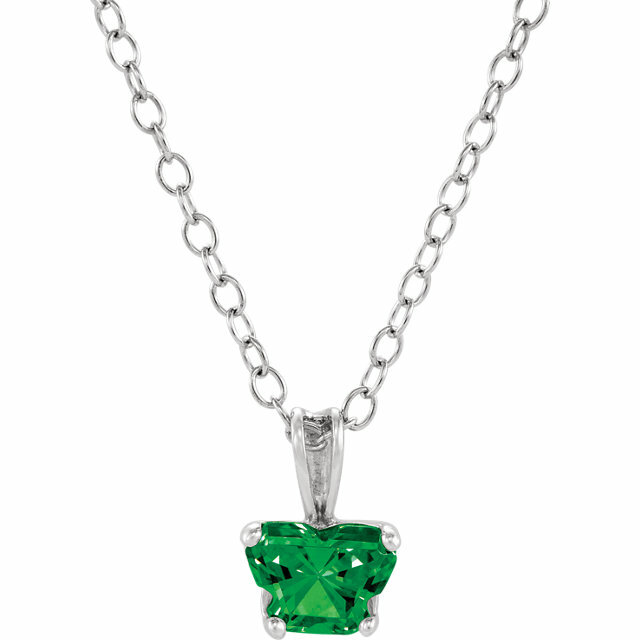 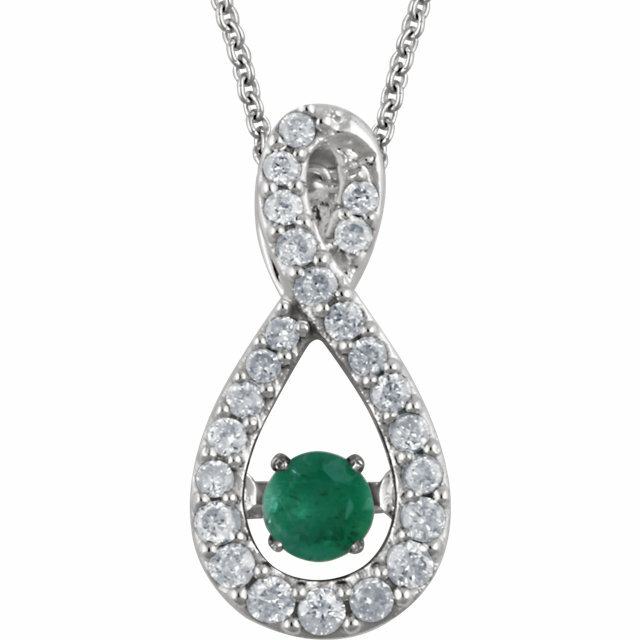 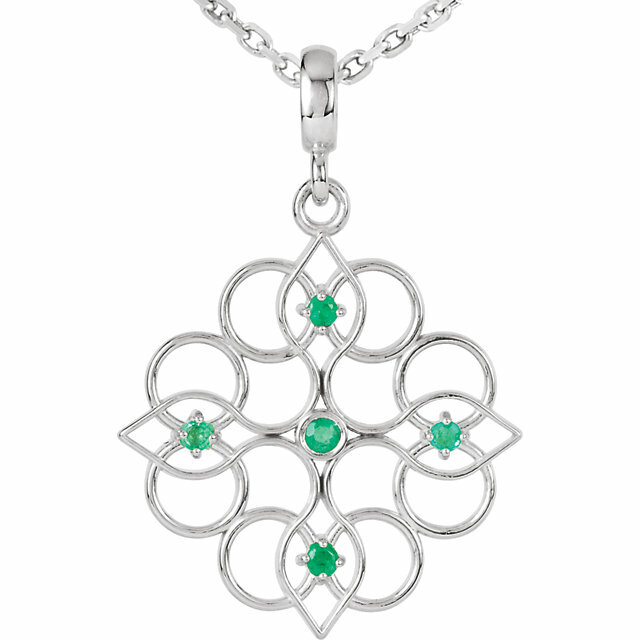 Nothing adds color, elegance and fashion to a look like an Emerald pendant. 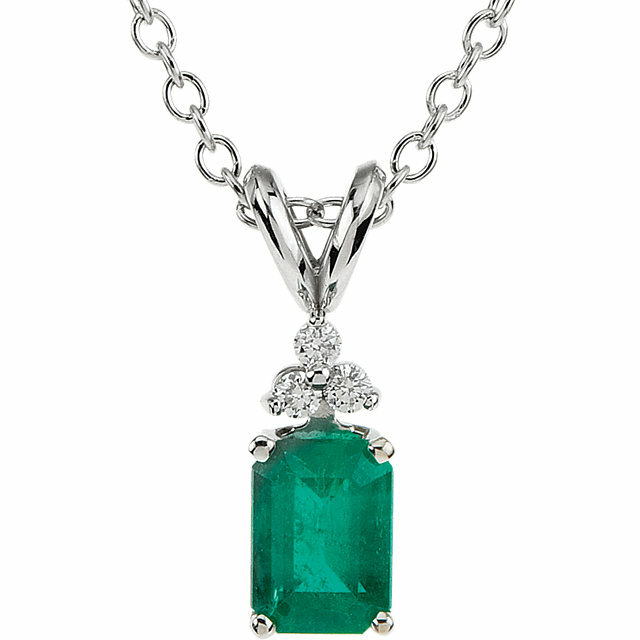 Mined from the finest Emerald deposits in Columbia and Zambia and cut with expertise and care to show to reveal their natural beauty, our Emeralds are the top of top. 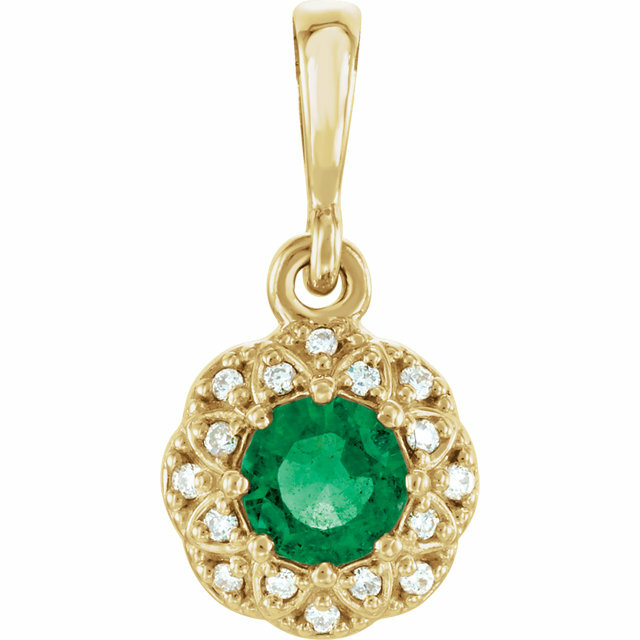 Known for their brilliance and durability, these high quality Emeralds are set in high fashion designs creating stunning, unique pendants that are virtually irresistible. 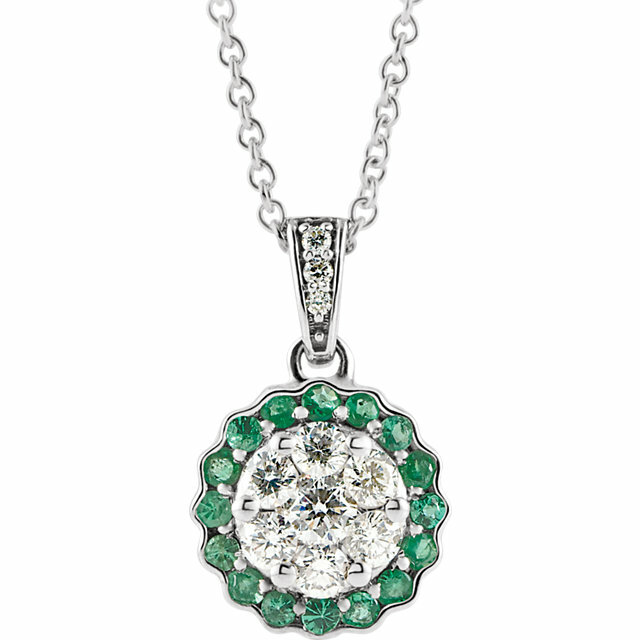 These pendants are not your run-of-the-mill department store finds, rather they shine with the sophistication and superiority of world-class top jewelry designs. What little girl does not dream of being draped in jewels and fantasize about being covered in rare and precious gems like a queen? 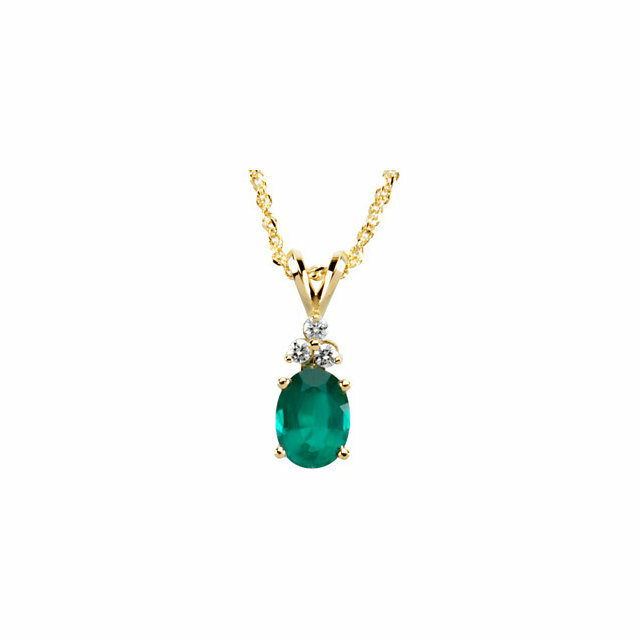 With these affordable yet regal Emerald pendants, the little girl within can live out her dream. 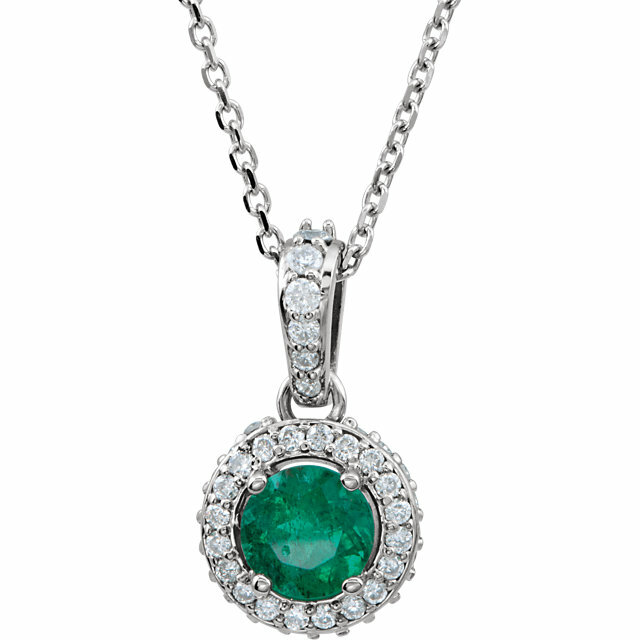 Treat yourself like a queen and indulge in a fancy, eye-catching Emerald pendant. 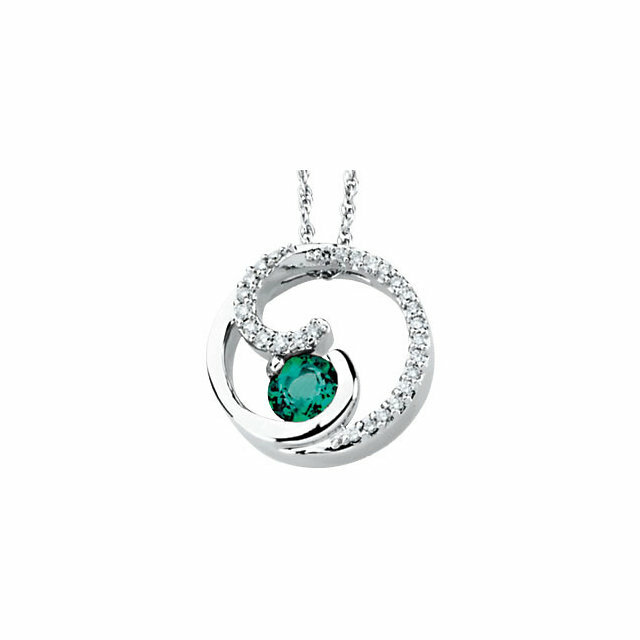 Some of our gorgeous designs can be paired with matching rings for the complete look of Emerald beauty. The enchanting green of Emeralds combined with the icy brilliance of Diamonds results in a design combination that is off-the-charts. 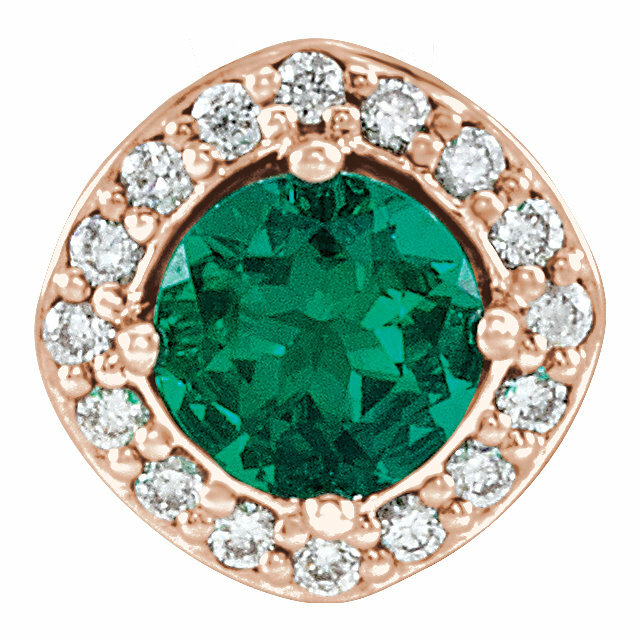 When worn, the verdant Emerald tones accentuate the peachiness of the skin and the shine of the hair�nothing compliments a lady more than a stunning Emerald to bring out her natural beauty.